excellent beaches, hotels, restaurants, shops, art galleries and attractions. trips, scenic trips, wildlife trips, - literally something for everyone. 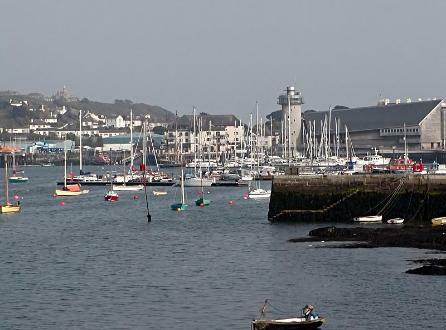 It is a long way around Falmouth Harbour by car, and in summer the roads are busy, so boat travel is a far better way to get around. Make use of the excellent local ferries and water-taxis. Fabulous! 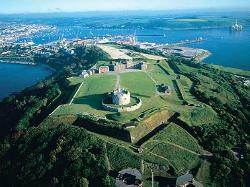 Cornwall has a long and fascinating maritime history - and Falmouth is at the heart of it all. The Maritime Museum here is just fantastic - if all museums were like this, there would be no such thing as a theme-park! Interesting, fun, educational - an absolute must visit if you are in Falmouth! Castle Beach is close to Pendennis Castle. It has some decent sand and some good rock-pools. plenty of rock pools when the tide is out. 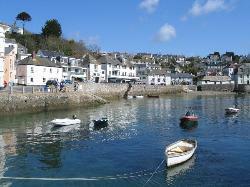 Swanpool is a sheltered cove just west of Falmouth. Excellent family beach, soft sand. Maenporth Beach is very pretty, family-friendly, has easy parking and good water-sports facilities. Surfing, scuba-diving and other water-sports. The Falmouth area is a mecca for water-sport lovers. - there are lots of excellent dive sites here, especially shallow wreck sites. 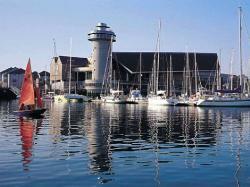 Nowhere in Britain is better than Falmouth for watersports. likes to leave Falmouth!) - so there is some great art to be seen and bought in Falmouth. Browse the galleries, collect, and enjoy! available. Falmouth is probably Britain's finest fishing-trip location. your confidence! A fantastic place to enjoy golf by the sea. Falmouth offers opportunities for Pony Trekking, Beach Riding and Hacking in the local countryside. in its own right - but venture out too! West Coast Path, which runs right through Falmouth.